Description: Coyotes are as big as a medium-sized dog. They range in colour from cream to almost black, the most common being tawny-grey with a black swath along the middle of the back from shoulder to tail. In the Maritimes, a reddish shade is frequently seen. Adult coyotes weigh approximately 16 kg (35.3 lbs), with males sometimes exceeding 25 kg (55.1 lbs). The eastern coyote is considerably larger than its western counterpart, and has a darker, coarser coat. 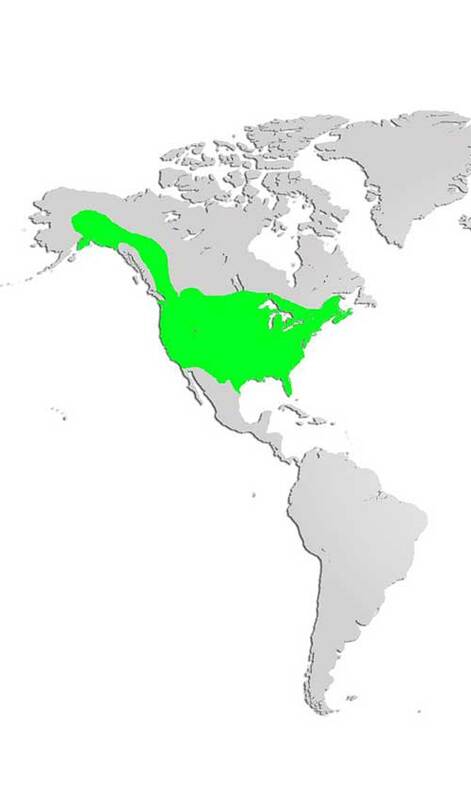 Distribution and Habitat: Coyotes are found throughout North America, however the term “eastern” coyote refers to those found east of the Great Lakes and along the eastern seaboard area. During the latter part of the 19th century western coyotes started moving east as grey wolf populations decreased due to over-harvesting and changes in land use practices. The few remaining wolves interbred with invading western coyotes and their descendants are what we call eastern coyotes today. First recorded in Nova Scotia in 1977, the eastern coyote is the newest large mammal resident and is now widespread across the province. They can live in a variety of different habitats and can adapt to living almost in climate. Diet: Omnivores, eastern coyotes are opportunistic, preying on whatever is available. Their diet will shift and change with the seasons, including varied insects, berries, and fruit during the summer months, and switching to snowshoe hare, and small mammals in the fall and winter. As conditions become harder in late winter, larger game such as white-tailed deer become a target for eastern coyotes, who will hunt together, when necessary, to find food. Life Cycle: Coyote pairs often mate for life. Five to 7 pups are born in late April or early May. Both parents look after their young, which are born blind and helpless. 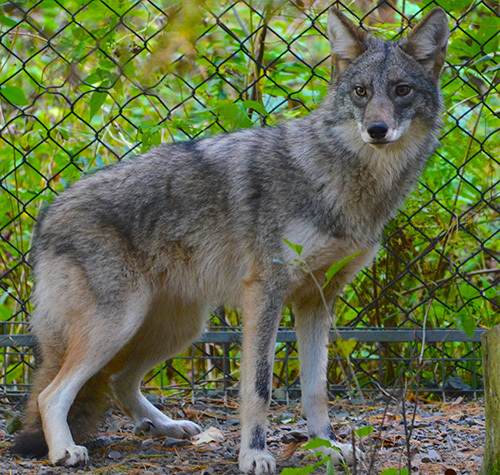 Young coyotes are fully-grown at one year, but often do not reach sexual maturity until their second year. Adaptations: Coyotes have developed a good sense of smell, hearing and vision. Eastern coyotes have a larger body size compared to their western cousins, allowing them to hunt and take down larger prey such as white-tailed deer or domestic sheep, alpacas and small cattle. Did you know? Coyotes can run over 64 km/hour (40 mph) and are strong swimmers.